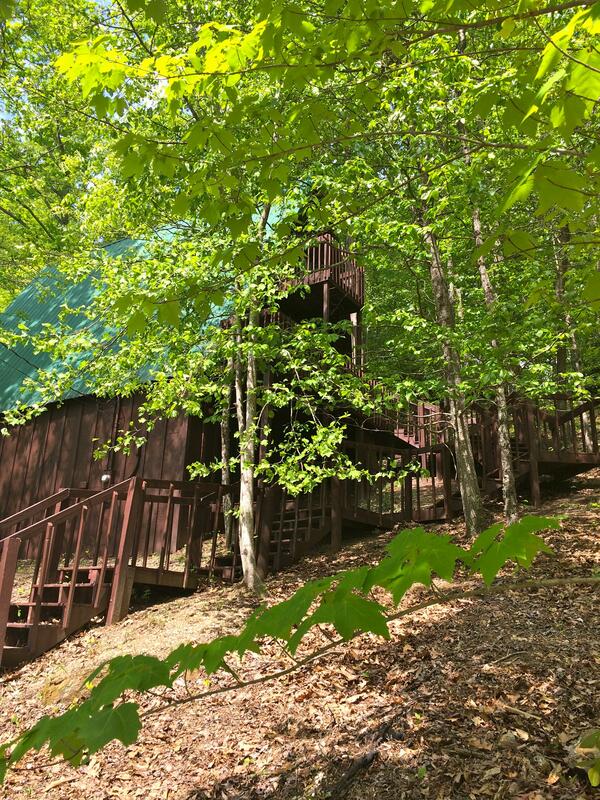 Holly Hideaway sleeps 4 and is tucked away on a hillside. Enjoy comfortable accommodations in a private, natural setting. Perfect to rest your weary bones after a full day canoeing, hiking or climbing. Holly Hideaway sleeps 4 with 2 queen beds .Wi-Fi is available. Enjoy comfortable accommodations in a private, natural setting. Living room opens to a loft above for a rustic open atmosphere. Satellite television also included. Just added a hot tub. Maximum 1 pet. We loved the cabin-it's perfect and quaint. Cabin is beautiful and very comfortable. Had everything we needed for our stay. Will be back!!! Although we enjoyed our stay at this beautiful cabin, there were a couple of things that needed attention. Need more kitchen utensils and saw mice. The management team was friendly and very responsive. Wi Fi worked perfectly 90% of the time, thank you for providing internet.